BHP Billiton (ASX, NYSE:BHP) (LON:BLT), the largest mining company by market capitalization, sees potash as a key commodity in which to base its future growth despite prices are still hovering just above $210 a tonne, less than a half what they were only five years ago. “Our preference long term is to grow in oil and copper, then possibly potash,” the firm’s chief executive officer Andrew Mackenzie said when releasing first half of the year results Tuesday. BHP seems to be in no rush to advance its massive $2.6 billion Jansen potash project in Canada’s Saskatchewan province. For years the company has been sinking shafts and installing some infrastructure on site, but has not fully committed itself to the project, nor received board approval for the mine. 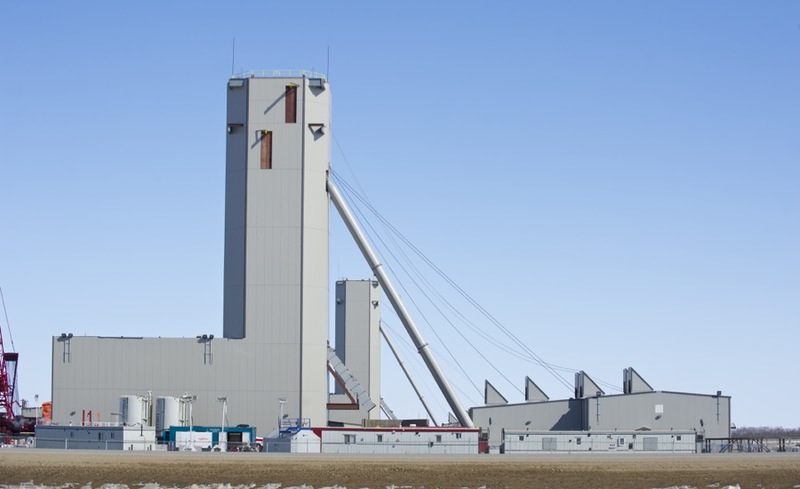 BHP’s massive $2.6 billion Jansen potash project in Canada’s Saskatchewan province is now 64% complete. On Tuesday, the company showed once again how slowly the project is advancing by saying it is now 64% complete (it was already 60% along six months ago). “Excavation and lining of the shafts are steadily progressing," according to BHP’s results for the first half of the 2017 financial year. It added that the engineering contract for feasibility studies for stage 1 of the project had been awarded. When the work is completed – at the current pace towards the end of 2019 – Jansen would still be nowhere near a producing mine. That is expected to happen sometime “in the decade beyond 2020,” BHP has said. But once and if that finally happens, Jansen would be a game-changer in the potash industry, as it is expected to generate 8 million tonnes of crop nutrient a year, which would amount to nearly 15% of the world's total. Prices for fertilizers began their decline five years ago as weak crop prices and currency declines pinched demand forcing producers to lay off employees and close operations. Prices have also suffered from increased competition following the breakup in 2013 of a Russian-Belarusian marketing cartel that previously helped limit supply. And while they have slightly recovered this month, a potential move by the Indian government to cut potash subsidies by 17% in the next financial year would hit demand from one of the world's largest importers of the fertilizer, inevitably dragging prices down.